New findings could help scientists explain why hexanucleotide expansions in the C9ORF72 gene are the major cause of familial amyotrophic lateral sclerosis (ALS) and frontotemporal dementia (FTD). In the March 16 Molecular Cell, researchers led by Ludo Van Den Bosch, University of Leuven, and Peter Tompa, Vrije Universiteit Brussel, both in Belgium, report that toxic dipeptide repeats (DPRs) coded by the expansion condense to form liquid droplets. The results add DPRs to a growing list of ALS/FTD-related proteins that display a knack for phase separation, further supporting the idea that the road to neurodegeneration runs through liquid-phase organelles such as stress granules. In the last few years, scientists have discovered that proteins bearing disordered, low-complexity, or prion-like domains coalesce into liquid droplets. Called liquid-liquid phase separation (LLPS), this phenomenon plays a central role in the pathogenesis of ALS, FTD, and other neurodegenerative diseases. In ALS/FTD, RNA binding proteins such as hnRNP, FUS, and TDP-43 readily phase separate, forming liquid intermediates that create a breeding ground for protein aggregation. LLPS serves an important non-pathological function as well. Phase separation underlies the formation of so-called membrane-less organelles, including stress granules, the nucleolus, and Cajal bodies. These fluid assemblies of RNA and RNA-binding proteins serve to dynamically regulate RNA metabolism. Recent reports implicate membrane-less organelles as special targets for C9ORF72-derived DPRs. Last year, two papers from the labs of Paul Taylor of St. Jude Children’s Research Hospital in Memphis, Tennessee, and Steven McKnight, University of Texas Southwestern Medical Center in Dallas, described how dipeptides associate with stress granule proteins, causing the normally fluid organelles to seize up and create havoc for neurons (see Oct 2016 news). In Leuven, first author Steven Boeynaems became interested in the biophysical behavior of arginine-containing C9ORF72 peptide repeats after he was able to induce LLPS in vitro with arginine-rich domains from several transcription factors. Encouraged, he tested 20 dipeptide glycine-arginine (GR20) and proline-arginine (PR20) repeats, and found both spontaneously phase separated in vitro to form spherical liquid droplets. Given the highly charged nature of the peptides, Boeynaems found that a bit surprising until he realized the phosphate in the buffer acted as a counter ion to neutralize the peptides’ charge. Subsequently, he replaced the phosphate with RNA, which is also negatively charged, and that further enhanced the phase transition. Given that liquid phase transitions set the stage for aggregation of other ALS/FTD proteins, (Sep 2015 news; Oct 2015 news), Boeynaems asked if the same was true for PR20. He let the droplets sit for a day, and then looked for signs of fibril formation or aggregation. The PR20-RNA droplets didn’t change—their contents remained in a loosely disordered, dynamic state, suggesting that PR20 in its liquid state is not fibrillogenic. PR20 did help another protein aggregate, however: It enhanced FUS phase separation and aggregation in vitro. To examine polyPR interactions with other cellular proteins, Boeynaems mixed PR30 with HeLa cell lysate. The PR30 phase separated, then formed a highly insoluble precipitate. Mass spec analysis of the proteins trapped with PR30 identified many that interact with stress granules and other liquid compartments in cells. This corroborates last year’s work from the Taylor and McKnight labs, which reported a similar set of GR- and PR-interacting proteins. What happens to PR in living cells? When the researchers over-expressed PR100 in HeLa cells, they detected an increase in the number of cells with PR-laden stress granules. The granules were not entirely normal, however. Compared to granules induced by chemical treatment with arsenite, a common stressor researchers use to induce RNA stress granules, the PR100-induced stress granules were more viscous. This jibes with previous indications that DPRs rob stress granules and other organelles of their fluidity and impair their function. Interestingly, the PR100 granules contained more of two ALS-related proteins, ataxin-1 and TDP-43, than the arsenite-induced granules did. Next, the researchers asked whether the mechanism of DPR-induced granule formation involved a physiological stress response. Normally, stress granules form when protein translation stalls. The process requires the phosphorylation of eukaryotic initiation factor 2α (eIF2α), and the presence of the granule core protein G3BP. 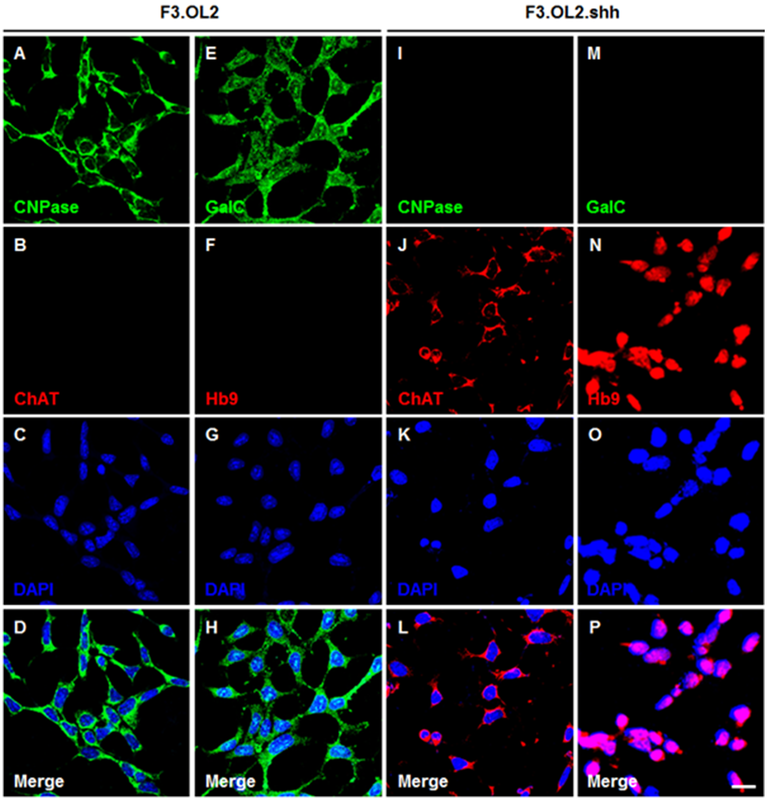 In cells lacking phosphorylatable eIF2α or G3BP protein, Boeynaems found that PR100 expression no longer induced stress granules. “This shows the effect is not just a pure phase separation, but that you need a working stress response to get the granules to form,” said Boeynaems. The results also support targeting eIF2α kinases as a possible therapeutic approach in ALS, he said (see Dec 2013 news). According to Simon Alberti, Max Planck Institute, Dresden, Germany, the paper nicely shows how dipeptide repeats perturb what he calls the “molecular grammar” of phase separation, which involves complex interactions between disordered arginine-rich repeats, tyrosine-rich prion-like domains, and RNA. “These components like to bind dipeptide repeats, but then the dipeptides change the material properties of the assemblies,” he said. Taylor agreed. “Stress granules may be the canary in the coal mine. They are well known and easy to study, but there are many other possible targets in neurons. Granules that transport RNAs from the nucleus to synapses are really important for neurons to function. They assemble by the very same principles and they are going to be equally poisoned,” he told Alzforum. In keeping with this, a recent paper from Erika Holzbaur’s lab at the University of Pennsylvania, Philadelphia, reported that mutations in TDP-43 increase the viscosity of ribonucleoprotein granules and disturb their transport down axons (see March 2017 news; Gopal et al., 2017). Gopal PP, Nirschl JJ, Klinman E, Holzbaur EL. Amyotrophic lateral sclerosis-linked mutations increase the viscosity of liquid-like TDP-43 RNP granules in neurons. Proc Natl Acad Sci U S A. 2017 Published online Mar 6. PubMed. Image on home page: Gitler and Tsuiji et al., 2016 under CC BY-NC-ND 4.0 license.